Category Archives: Five Years Gallery. 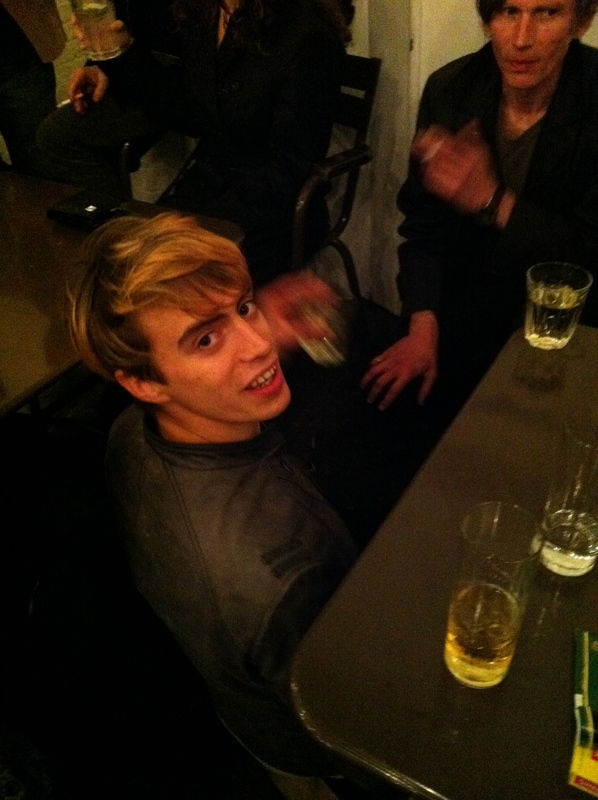 Before even more time passes, I thought I’d post a few pictures I took at Bistroteque bar where we moved onto after the private view of the Dennis Cooper curated Weaklings show at Five Years gallery last month (See my related post above). 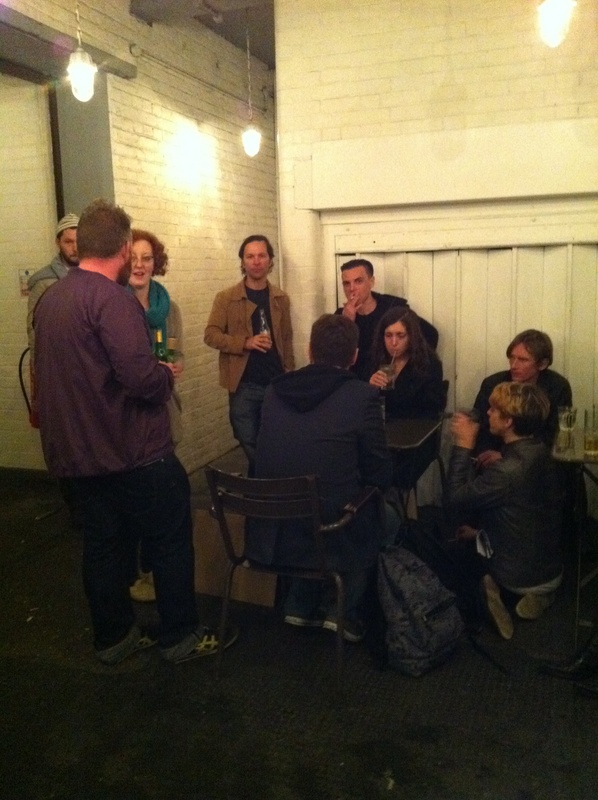 The smoking area outside Bistroteque. From the left: the artists, Michael Salerno and O.B. 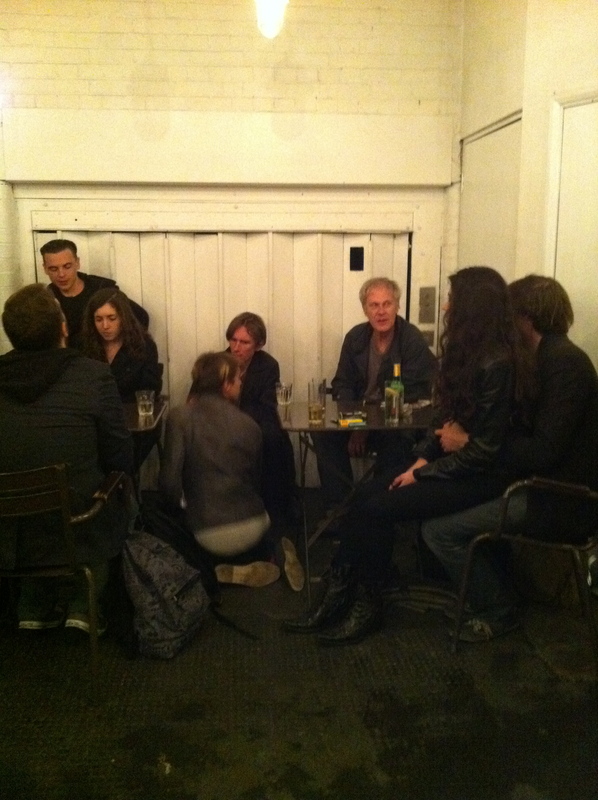 De Alessi, Marc Hulson, Dennis Cooper, the artist Emma Wolf Deraze seated on musician Nick Hudson’s lap, writer Joe Nockles with his back to the camera. From the left: the writer Paul Curran, artists Micheal Salerno and O.B. De Alessi, Marc and Joe. From the left: La Roo/LR/Raacky/, I’m not quite sure what he’s calling himself these days. No, I’ve just checked it’s La Roo Rckay. 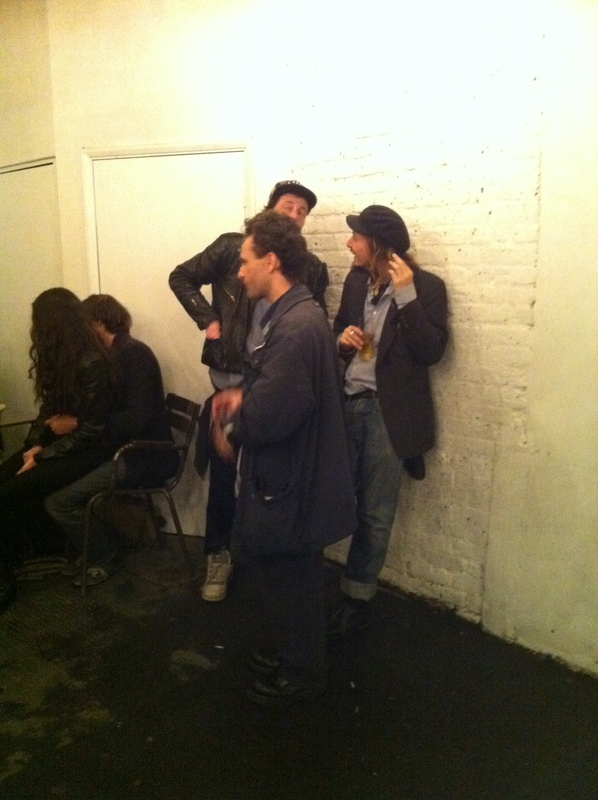 Film maker Dario Vigorito and art critic Douglas Park (walking past). The estimable Transductions also covered this event here.